Cracow Rentals-Starowislna 36 Vintage Studio offers accommodation in Kraków, 700 metres from Galeria Kazimierz and 700 metres from Wawel Royal Castle. The apartment, housed in a building dating from 19th century, is an 11-minute walk from the St. Mary's Basilica. 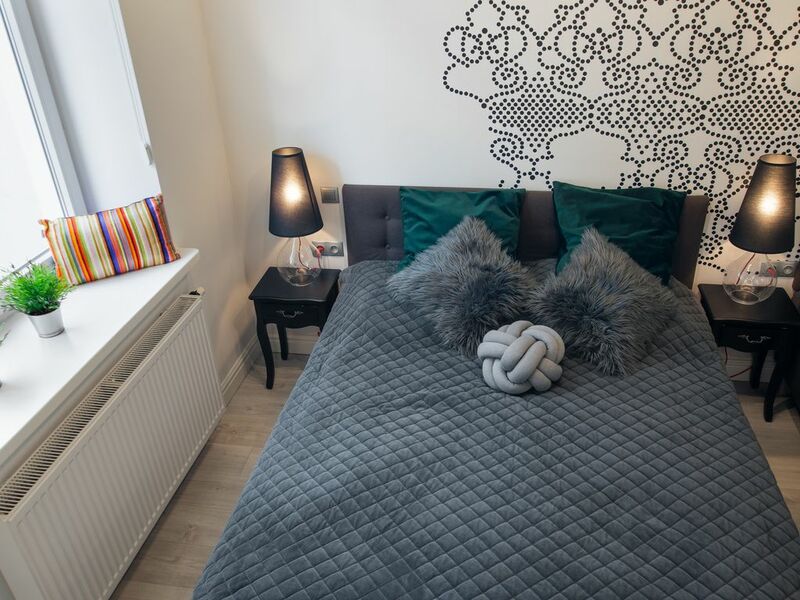 This apartment is equipped with one bedroom with one big double bed and one single bed , a fully equipped kitchenette, a dining area and a flat-screen TV. The apartment also provides washing machine and a bathroom with a shower. Popular points of interest near the apartment include Adam Mickiewicz Monument, Main Market Square and Cloth Hall. John Paul II International Kraków–Balice Airport is 11 km away. Travel is our passion, visiting nearly 40 countries around the world we know what we expect while traveling abroad. We put a lot of emphasis on making every guest during his trip to Krakow feel at home. There are many apartments in Krakow, most of them have a photo of the main square above the bed and an old brick on the wall. This apartment is different and unique, you will not find another similar place in Krakow, have you ever slept in an apartment that has a ceiling in green?